“Pop Masterpiece” elicits forty-nine thousand hits in a google search. One of rock criticisms’ most tired, overused and cliched phrases can be the signifier of a complete lack of imagination in the writer’s method. Or, in the case of my attempt to define The Bloodsugars BQEP release, its just an instance where the phrase truly applies. Listen to “Purpose Was Again” streaming on either The Bloodsugars website or MySpace page, and hear for yourself. The Bloodsugars will perform on the Downstairs stage of the NYCTaper CMJ Show at Cake Shop tomorrow afternoon at 5 p.m. We spoke to Jason via email earlier this week about their next release, influences and mortality. One of the enjoyable things about listening to your music is hearing the influences in the songs. There are the obvious Beatles/Kinks/Who Brit Invasion overtones, but I also hear that early 80’s music — Squeeze, Joe Jackson, Nick Lowe, The Shoes, Fischer Z — the “skinny tie” power-pop. Can you talk about what music you grew up listening to, and your influences generally? I’d say a large part of our influence is drawn from vintage ’80s synth-pop the band grew up on. Trying to put a new twist on stuff like Prince, Hall and Oates, Eurythmics, Cindy Lauper and sort of do our own thing with it. As for the skinny tie stuff, I went through a huge Elvis Costello phase, huge.. We have a LOT of influences though.. The Coasters are my favorite band of all time. They had it all. You’ve been working on new songs, and in fact when we featured a recording of your performance from After the Jump Fest in June, the setlist was primarily new material. I understand there is a new album in the works — at what stage are you in the recording process? There is a new album in the works. We are about to pick a producer.. We go on tour in Nov with The Lisps and when we come back we’ll be recording it. I guess you must get tired of talking about this, but I’m going to approach it from a different direction — the band name and your medical condition. One might think that someone like yourself with a heightened awareness of mortality and the fragility of life might write more morose and fatalistic songs. And yet, the songs are for the most part upbeat with a positive perspective. Any thoughts on this? Sharon van Etten / Secret Garden from hoovesontheturf on Vimeo. We were first introduced to the music of Sharon Van Etten interestingly enough through an email from The Antlers that announced some recording details of their soon-to-be-released CD. Sharon provides vocals for a couple of tracks. While we had heard of her, we had not yet heard her sing and decided to do some research. A quick google search and a few minutes later we were watching astounded at the raw talent exhibited in an Arin Crumley video of Sharon Van Etten performing “Damn Right” at Galapagos. I asked several people to watch the Galapagos video and tell me that I was not overreacting, and the verdict was unanimous — this was a uniquely talented woman with a gifted voice with subtle and poignant songwriting. I reached out to Sharon with a request to record one of her shows. We ended up capturing three of them, in June at Pianos and at Zebulon, and an amazing show in August at Cake Shop. So when it came time to book the NYCTaper CMJ Showcase, Sharon Van Etten was an easy and obvious choice. On Thursday October 23 at Cake Shop, Sharon will perform upstairs at 5:30pm, essentially headlining the “acoustic” stage at the show. In person, Sharon is quite friendly and unassuming. That personality comes through quite clearly in this interview, as she answers my wordy and obtuse questions with class and patience. Expect the same on stage on Thursday. Please tell us about the new album. Is there a specific release date, will there be new songs on the album, and if you could describe the arrangements — is it Sharon-and-guitar or will we hear other instruments, bass, drums, strings? The album is set for release in April off of Language of Stone. The love child of Drag City. Run by Greg Weeks of Espers. He recorded and played on my record. There will be minimal accompaniment such as guitar, bass, percussion, and synthesizers (all played by Greg Weeks) and vocal, guitar and added harmonies by me. There seems to have grown up this folk scene around the Zebulon regulars of which you are a core person. Can you talk about the venue, the other artists and the “scene” (if there is one!)? Zebulon is the most accepting, open venue in Williamsburg. They have a broad range of bands that play there. From Folk to Jazz to Indie to Funk to Experimental noise. You name it. I have played with Scary Mansion, Forest Fire, Ivana XL, Drew Victor, She Keeps Bees, Beastheart, Matt Bauer, Twi the Humble Feather, Meg Baird, Xylophone People, W-S Burn, The Shivers, — When I play they let me curate the whole night, so it usually revolves around folk, indie, country…. but every other night is different there. That’s why I love it. And I’ve never been disappointed. It couldn’t be run by more loving people. I always feel welcome, which is why I will always come back. but I guess the question is whether this is a natural approach or do you consciously approach songwriting with an idea of contrasting sweetness and bitterness? It’s not my initial intention. My songs come mostly from my journals, where I create a dialogue with a memory of mine and come to terms with my past through song. (sounds cliche, doesn’t it?) But I come across writings that were at one time bitter, and now that I am passed those times and want to sing about them, I am at peace with those times… so I guess that the sweetness comes from closure, and the bitterness is from truth – but I hope the outcome is bittersweet and human. I’ve heard you say several times “I’m not a pro”, which I interpret to mean that you want to retain your authenticity. With the new album coming, a long tour under your belt, constant local gigging, and now a CMJ show, the shows are going to get more crowded and the venues bigger. Do you still believe that you can’t both be authentic and “big” at the same time? Ha. Funny… When I say “I’m not a pro… It’s because I’m always nervous. And I always mess up. And if there comes a time when my shows get crowded and the venues get bigger, I assure you that if anything, I will be more nervous, and more clumsy, and less pro than ever before. What are you listening to these days, like in regular rotation in the I-pod, that kind of thing? Last question, and this one is about “taping”. I appreciate you have permitted me to record several shows and present them “warts and all”. Interestingly, my first experience with your music was the excellent video made by Arin Crumley of one of your Galapagos shows. So I pretty much never would have heard your music if it wasn’t for “taping”. I know that Joly from punkcast has recorded you too. I guess I’ve sort of answered my own question, but can you describe your approach and your thinking behind permitting all these live recordings? Through all my home recordings and studio recordings, I always feel that a live show is best. Even with it’s flaws because you cannot replicate that. That is one moment. To be there, to see the expression on the artist’s face, the energy of the room that the artist feeds from, there is no better substitute than taping it. (other than being there, of course.) For people that haven’t seen me live, at least they can hear me live. Hopefully it creates more of a personal connection to the listener and maybe want to see me live one day. John Darnielle discusses the new Mountain Goats EP Satanic Messiah, live versus studio recordings, flac, DIY releases, and alternative forms of music distribution. When nyctaper recorded the Mountain Goats in Brooklyn in May, it was a solo John Darnielle concert that featured a large assortment of older and rarer numbers, and one absolutely new debut performance. When a conscientious fan in the Mountain Goats forum suggested that John might not appreciate nyctaper circulating the new song “Wizard Buys a Hat”, John disagreed. In the nyctaper interview with John Darnielle posted in its entirety below, we now understand John’s position. As the Mountain Goats prepare to offer Satanic Messiah, an EP to be released in a pay-as-you-please method through alternative distribution channels, John discusses the freedom to do “DIY” a release, along with the accompanying uncertainty. nyctaper: I see that “Wizard Buys a Hat” is to be one of the songs on the new EP, is this the same arrangement as the version at Masonic Temple? John Darnielle: No, not at all, the recorded version of “Wizard Buys A Hat” is actually very quiet – it kinda starts quiet and then gets super-quiet. It has a sort of Dario Argento build-up-scene feel. Guitar, vocals, a drum, some organ. To me it rules over the “I am nervous so I guess I’ll yell real loud version” but that’s just me. I go through a lot of internal drama about playing new songs live, because people like it when I stomp and yell, but I have no interest in making stomp and yell records, all those bands who try to sound like “yes we are in reckless abandon!” on their records sound silly to me. You know? Ben Harper when we were kids told me he thought a song should always be better live than on record, that live performance is about breaking the recording open, and while I’m not sure I agree 100% – I think I prefer recordings to live music – I do think that recorded music is a collaboration between the listener and the performer, and trying to treat it like it’s an attempt to recreate/emulate a live performance is a mistake. I think of recordings like little Easter-scene sugar eggs: look inside of them, squint, see all the little things hidden in there. A live show is more about everybody just gorging themselves on raw sugar. Both are nice, but they shouldn’t try to be like each other. 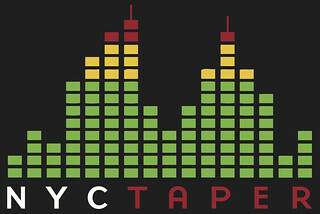 nyct: I think its great that you will be using new means of distribution of the EP (direct download, torrent, etc). Will the EP be offered in flac? JD: Yeah I think so. The original idea was to offer MP3, AAC, AIFF & WAV. In any case, both major compressed formats and at least one big-size format. Still working that stuff out. It is exciting, putting this thing together, I have to say – getting all the stuff organized, thinking about how to do it, thinking about formats, arguing with people who don’t know how to use torrents about whether we oughta host the actual files instead of just seeding a torrent and pointing at it – when you really do absolutely everything yourself, which is what I’m doing with this record, you learn that a lot of the propaganda about being in control really is true. There’s beauty and power in making all your own decisions. At the same time, you know, writing checks to a lot of places and thinking “jeez I hope people actually pay for the songs or I’m gonna be eating ramen for a while,” that feels a little funny. Fingers crossed! nyct: I’m not sure how one measures “success” on a project like this, but if all goes well, can we anticipate that this new method of EP distribution will be used again by tMG? JD: I hate talking about money, though this is the second time in two paragraphs I’ve done so, but: the bottom line here is whether people who download the songs decide to pay for them. People talk about “exposure” as an intangible sort of reward, but exposure doesn’t count as payment as far as I’m concerned – most people with jobs will agree, if I tell you that I’m telling other people you’re awesome instead of paying you, you got a raw deal. So, this is an experiment – I already know how much I’d get paid if I did a regular pressing of the EP, I have a good sense of how many I’d sell and what the profit to me would be. I have to admit I’m a tiny bit skeptical about how it’ll go, though I’d love to be proven wrong – people always point to the big-marquee boys (Radiohead, NiN) as if small fish can hope to compare, but those are bands with massive fanbases built on the old model with lots of cash going into the process. If a tenth of the people who download In Rainbows pay, then Radiohead eats good for a year. Not so easy when your craft is tailored to a much smaller audience! If a tenth of the people who I expect will download this EP pay me, then I’ll lose a fair amount of money. So, who knows? Some days I think “hell yes, bold new world, looking forward to being able to release more music more often and put out all the EPs and weird projects I can think of, really be sharing all my ideas with everybody in nearly real-time, that’s gonna be rad.” And then other days I just wanna go back to making tapes. It’s not like I left my label or anything – I just wanted to see how something like this would work for me, and I did it with new studio recordings instead of half-assing it: went the full route from production through mastering and now I’m excited to see how things work out. And really, I’m happy no matter what happens, because think the EP’s good work from me – at the end of the day, all this stuff I’m talking about is just idle chatter: all that matters is the work, and that gives me satisfaction, and if people enjoy it, then that’s doubly satisfying. So, while this very long paragraph probably looks like I’m super-concerned with all this stuff, I’m not – it’s just, like, you asked, and as a working artist trying to make a living, this is the kinda stuff I think about a lot. You know?